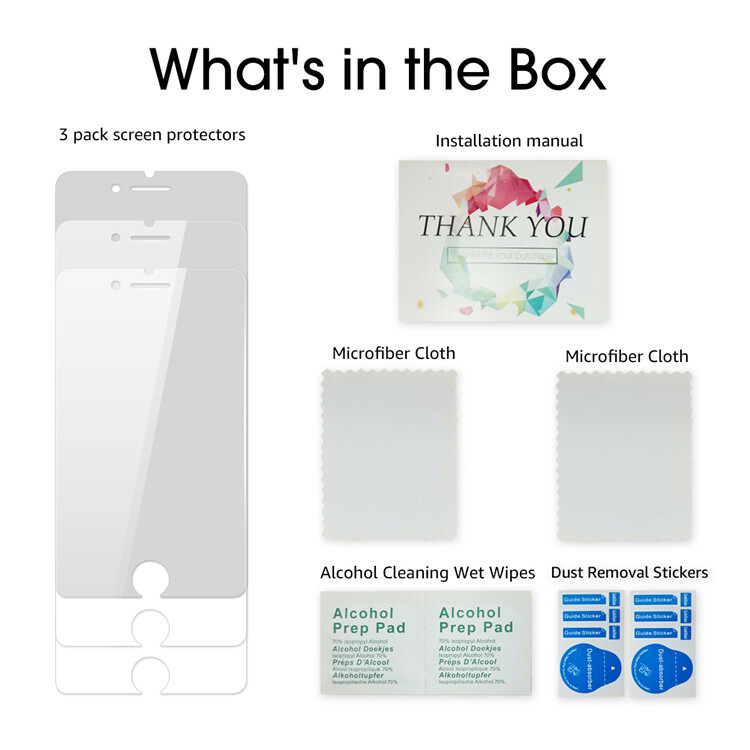 Includes:2x Clear Iphone 8 Screen Protector,1x Iphone 8 Anti-Privacy Screen Protector, 3x Wet Wipes,Cleaning Cloth,Dust Removal Stickers,WORRY-FREE WARRANTY with 180 days after sales service. 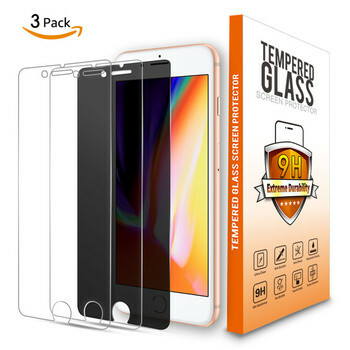 Double Defense Technology:ANTI-CRACKING STRENTHENING Glass for durability,Premium tempered glass screen protector for superior performance,Anti-Scratches. 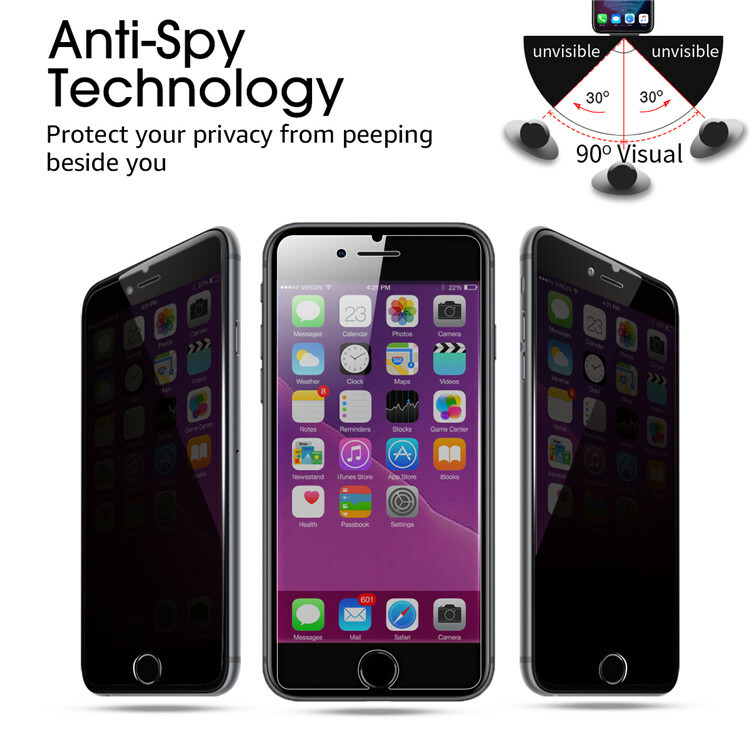 Two way privacy: Two-way privacy filter that provides your information invisible when viewed from left and right side 45°,Protect your privacy from strangers around you. 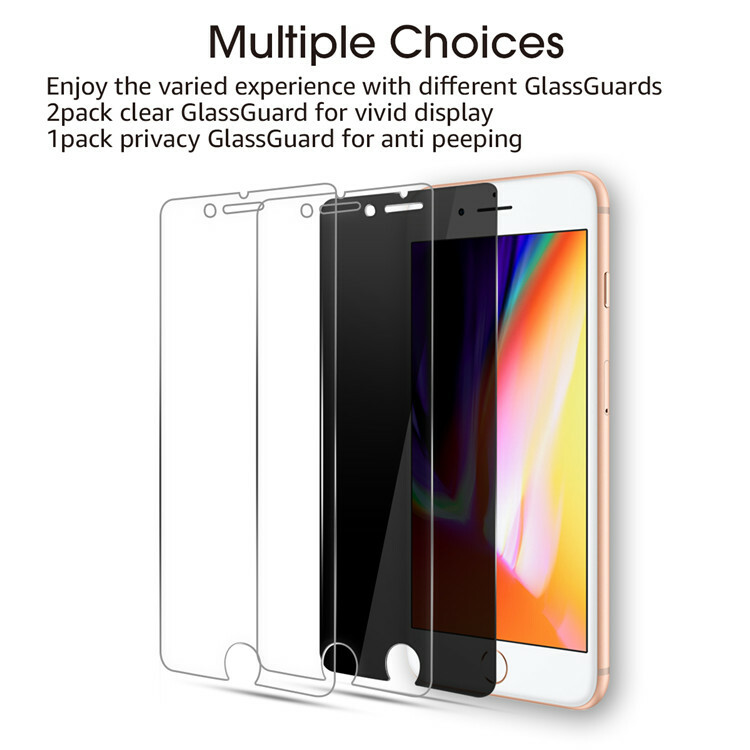 Full Clarity: Ultra-high transparency, 0.3mm thickness and oleophobic coating preserve your Screen in original viewing experience and high touch sensitivity. Precision Size: More than 10 years factory experience, Precise laser-cut dimensions provide maximum protection for your Iphone 8 touch screen surface. 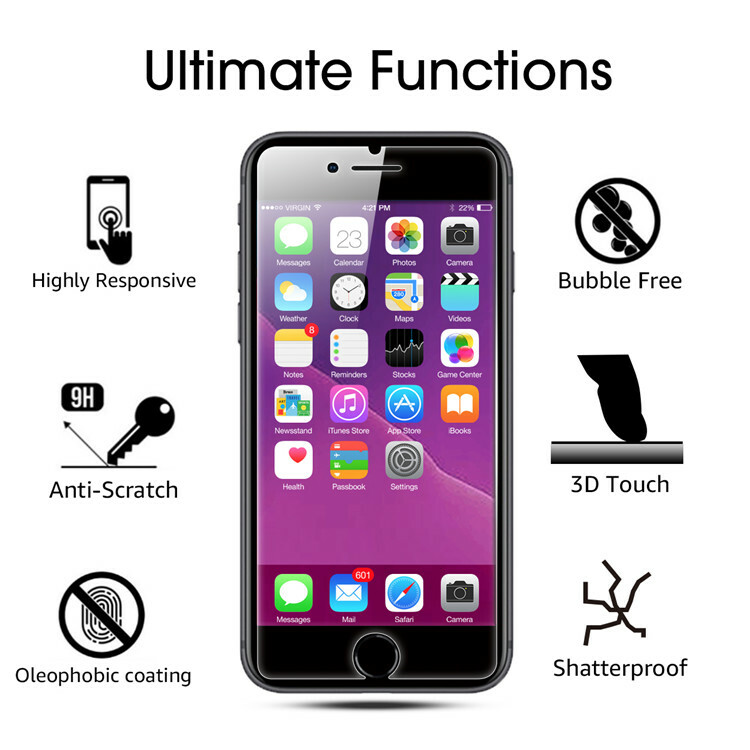 •Double defense features advanced technology that distributes impact for more shatter resistant and drop protection than an unprotected screen. So take it easy the next time your hands are full and your phone takes a tumble. •Protects Against Scrapes and Scratches,You're ready to make it through the day without a scratch of the Strenthening Glass. •Smudge-Resistant and Easy to Clean,long-lasting, oil-resistant design to keep your screen resilient against smudges and fingerprints,Effortless and easy to clean. 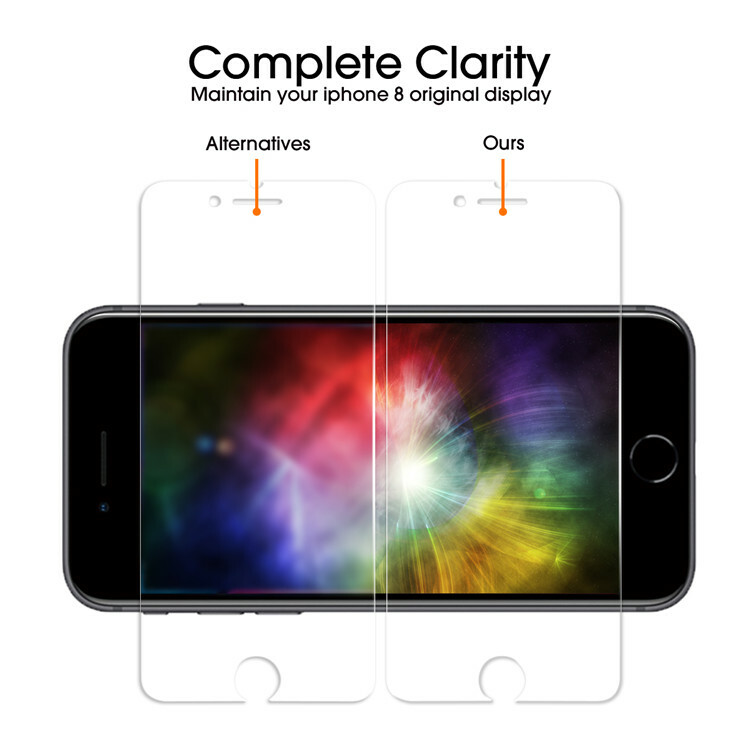 •2x Clear Tempered Glass Screen Protector. 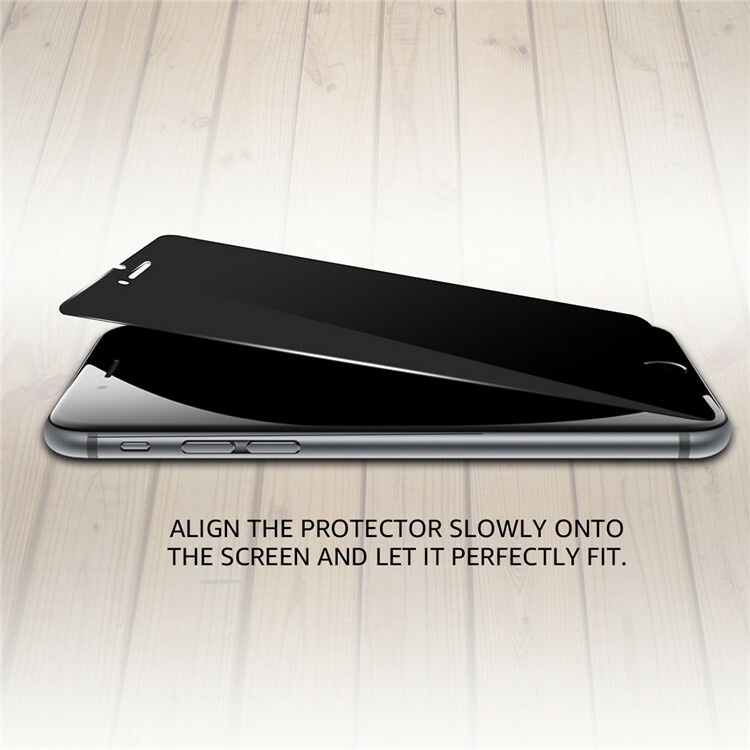 •1x Anti-Privacy Tempered Glass Screen Protector. •180 days after sale service •we can make a replenishment or money back for you if there is any quality problem,Please buy it with your confidence.